Within each of us lies a subtle energy system that nurtures and protects the mind, body and soul. In Sahaja meditation, this inner energy is known as the Kundalini energy. We are all born with this vital energy force; in fact, the word Sahaja itself means “born with.” (Saha means “with;” ja means “born.”) This powerful energy lies dormant with each of us until it is awakened. 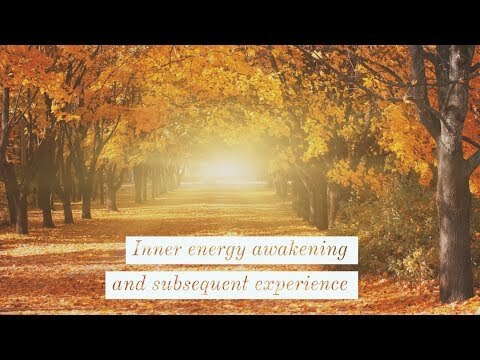 Sahaja meditation techniques have the capacity to awaken this energy. The Kundalini is the primordial energy — the source of all energy. It is pure and immaculate. It cannot be destroyed. It is a living energy that knows how to act. It obeys its own laws, rising upward against the force of gravity, like fire. And like fire, it purifies, consumes and cleanses our imperfections. In fact, when you feel heat in your hands during meditation, you are feeling all that is negative leaving your body. It enters the human brain while the baby is inside the mother’s womb. As the energy passes through the baby’s medulla oblongata (continuation of the spinal cord forming the lowest part of the brainstem that controls heart and lungs), it creates a vast, intricate system of energy channels and energy centers throughout the central nervous system. This system — the subtle energy system — will influence our physical, cognitive and emotional well-being for the rest of our lives. The residual Kundalini energy settles into the triangular-shaped sacrum bone at the base of the spine (below the 1st chakra). Ancient scriptures referred to this energy as sacred or divine; hence the label “sacrum” bone bestowed by the ancient Greeks. This vital energy lies dormant at the base of the spine, waiting to be awakened. This energy awakening process is sometimes referred to by Sahaja practitioners as Self-Realization. Of course, in reality, the energy awakening is only the beginning of the Self-Realization process. With a boost from the inner energy, Sahaja meditation practice can act as sort of a fast track to Self-Realization, and ultimately, Enlightenment. Self-Realization is a process by which we realize our Spirit by connecting to the all-pervading divine energy. (For more, see section on Self-Realization). What happens to this energy during our lives? This inner energy goes dormant as we grow older and many of us spend our entire lives without awakening it. As our physical self grows, our attention is increasingly diverted to outward things and away from our inner subtler self until we can finally become completely immersed in the more mundane, external aspects of our lives. The connection of our inner Kundalini energy with the all-pervading divine energy is severed and the Kundalini energy within goes dormant. A few gifted individuals, however, may continue to maintain that connection. Such individuals are likely those who were already highly spiritually evolved. Depending on the strength of the inner desire for evolution to a higher state of consciousness, we may seek an opportunity to awaken this energy within us; for instance, we might pursue various meditation or yoga techniques. Or we may try to understand what it is that we are really seeking by understanding more about the Kundalini energy. (If you’re reading this page, welcome — you have a strong desire seeking strongly, that’s why you are here!). Ultimately, our attempts may lead to the moment of Self-Realization, or activation of the Kundalini energy. What happens when the energy is awakened? 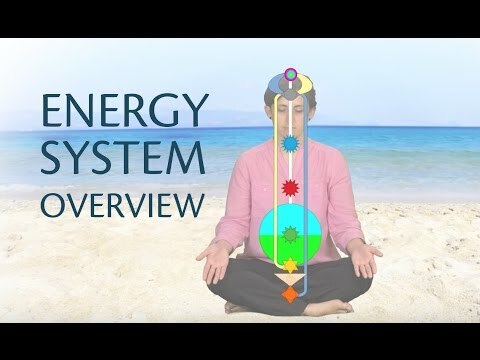 Once awakened, the energy flows throughout the body via three energy channels, or nadis, flowing upward through the seven principal energy centers, or chakras. Once awakened, aA few strands of energy rise up through the central energy channel and pass through each of the higher chakras. Once the energy passes through the 7th chakra (crown or Sahasrara chakra), it connects with the all-pervading, universal energy. The regular practice of Sahaja meditation, each time raising the inner energy and achieving this cosmic union, leads to continual replenishment of this vital energy force. Our individual Kundalini energy is part of this vital force, a representation or a seed within us established specifically for the purposes of being activated and becoming part of the universal cosmic energy. As we practice Sahaja meditation, by virtue of the connection or union we achieve each time, the vital force from the cosmos flows back into our energy system and replenishes all our energy centers and channels. Think of this cosmic energy as the vital force that runs the entire universe. It is the ultimate source of all energies, a reflection of the universal divine energy within us, a force and power of Mother Nature. The rise and passing of this energy through the energy centers is typically experienced as vibrations or a tingling sensation at the top of the head (the fontanelle area) and at the finger tips and palm of the hands. In reality, every element in nature emits vibrations, but it is only through the awakening of our own inner energy that we develop the sensitivity to feel these vibrations in ourselves or other elements of nature. For example, vibrations indicate that you are balanced and “holy.” Hot, tingling vibrations indicate an imbalance or lack of harmony with the Spirit. Through simple Sahaja meditation techniques, you can awaken this powerful energy any time you wish and harness its power to become better balanced and better connected to yourself — emotionally, physically, and spiritually. You can always draw into the universal vital force using the connection your inner energy has with it, thereby constantly replenishing energy inside you that serves physical, cognitive and emotional functions. On the spiritual front, you discover the subtler aspects of life and its purpose, that cause you to pursue of journey of becoming a more evolved personality with better traits and a state of well-being overall.